With its inaugural soccer season already underway, Loudoun United has announced where it will play three of its scheduled home games, while construction continues on its permanent home stadium, in Leesburg, Virginia. 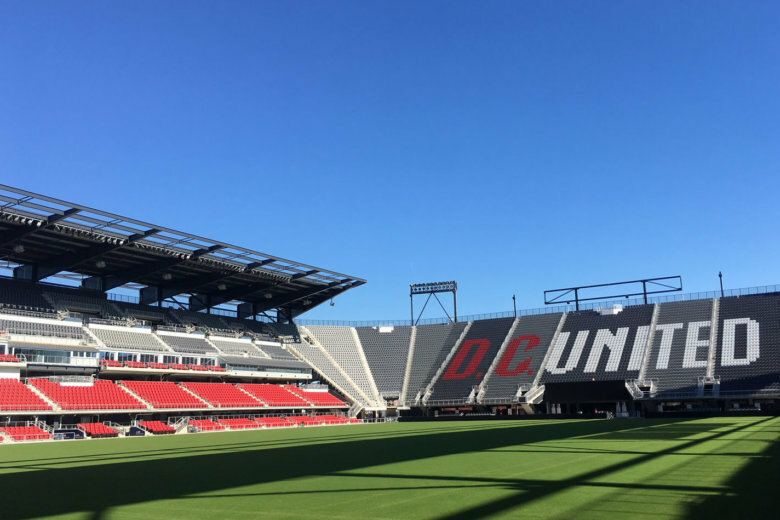 Loudoun United’s first “home-away-from-home” game will be Friday, May 3, at Audi Field, in Southwest D.C., against Bethlehem Steel FC from Chester, Pennsylvania. Audi Field is the home stadium for D.C. United, the Major League Soccer team which owns Loudoun’s United Soccer League team. In addition, Johnson said playing at Audi Field will likely inspire players. “Loudoun United head coach Richie Williams is coaching a group of players who want to one day play for D.C. United, so playing in the big stadium, Williams told me, is a motivation,” Johnson said. Two other games — May 19 against Hartford Athletic FC, and June 28 against Louisville City FC — will be played at Audi Field. The location of two other “home” games have not yet been announced: June 15 against Indy Eleven, and June 28 against Atlanta United 2. According to the team schedule, the first game at Loudoun United Stadium will be Aug. 9, against Charlotte Independence.